Stampede into your next gig with Woodrow's Nfl officially-licensed Buffalo Bills NorthEnder Electric Guitar and showcase your love for Billy Buffalo! The base features brilliant team-centric graphics in red, white, and royal blue with a beautiful rendition of everyone's favorite mascot! With only 100 units produced, this Buffalo Bills guitar is a highly-collectible piece of musical art. In order to ensure collectors of its authenticity, each guitar is accentuated with a meticulously engraved and individually numbered metal plate. 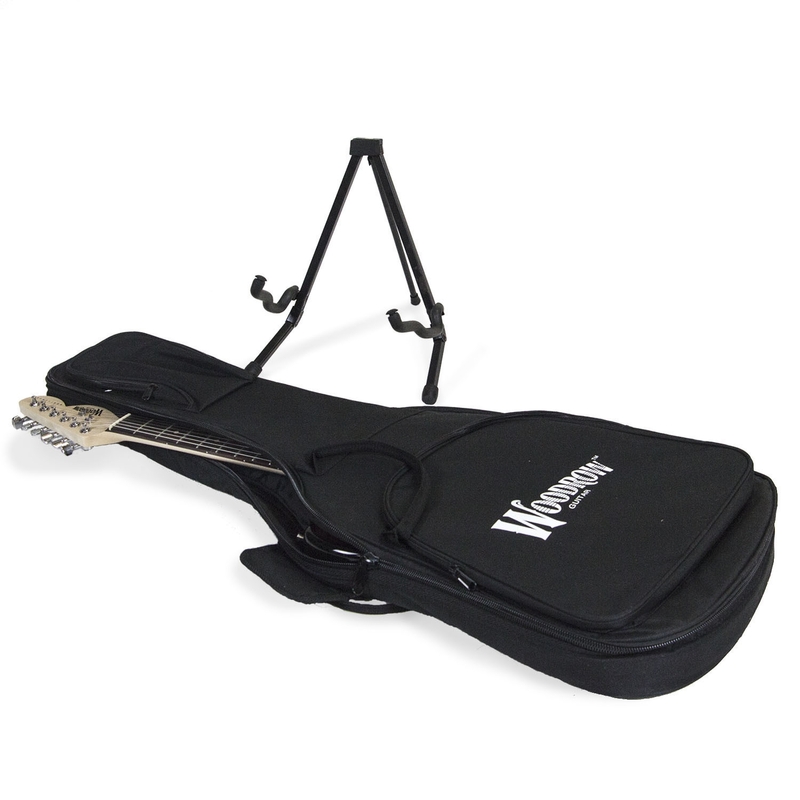 It also includes a Woodrow-brand guitar stand and padded gig bag to keep your guitar well-protected. Rock out while professing your devotion to the winners of Super Bowl Xxv to XxvIII! 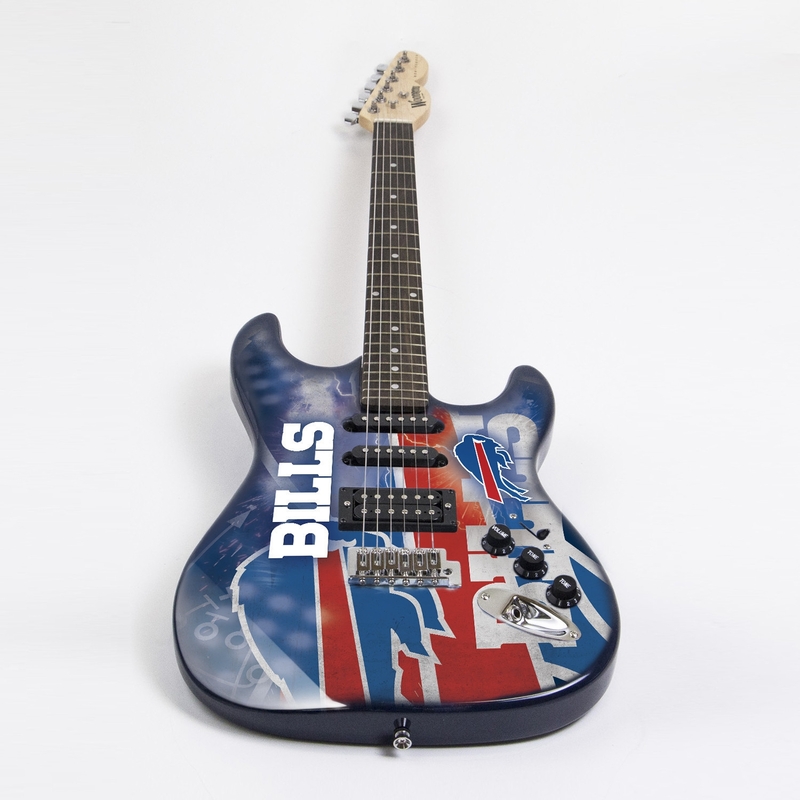 Grab your limited-edition Buffalo Bills NorthEnder Guitar while supplies last!